We all know that trying to find toddler lunch ideas is a minefield. Between the sweet potato being thrown and the sudden dislike of cream cheese, today which was liked yesterday, finding budget-friendly and easy toddler recipes that the whole family will eat can drive you mad. Packing your toddler lunches for pre-school or just for a day out doesn’t have to cause a family argument. Toddler food can also be adapted for the whole family. Meaning you can still stick to your normal meal plan but please the toddler as well. 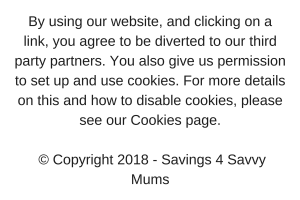 Join our FREE saving money help in our Money Saving Mums Facebook group. Our safe community of parents are all in the same boat as you. Becoming debt free isn’t easy but together we can all help each other. 2. Use money managing apps like Plum to keep your shopping bill under control. Using an app like Plum* can really help you keep your money in check. Plum* can help you build up your savings while showing you exactly where your money is going. 3. Join our FREE six-week money saving course that can help you save up to £300 a month. Come join us now! 5. Use cashbacks if you shop online for anything. We recommend Quidco* and Swagbucks*. You get money off whenever you shop online through their sites which can really come in handy once baby is born. 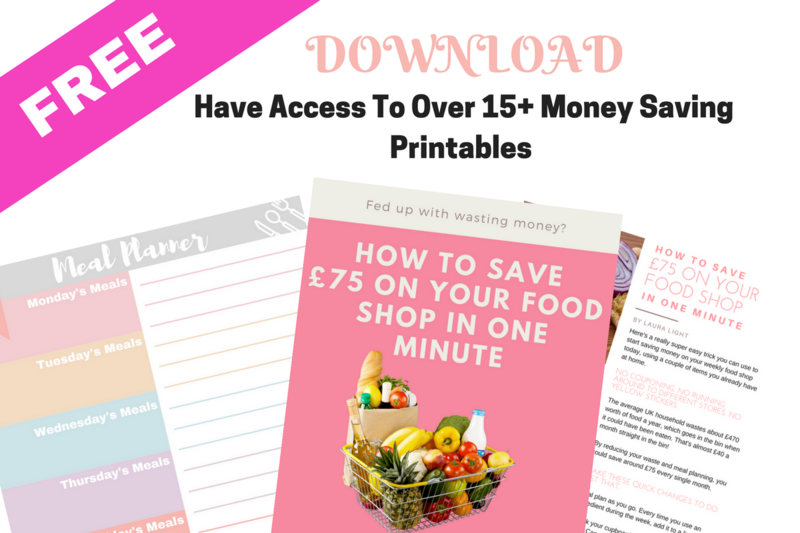 If you find meal planning for the family harder than you’d like too then come join our Facebook group Money Saving Mums and get access to The Resource Vault with access to over 15+ money saving printables. This includes our easy slow cooker meals meal plan, available exclusively to subscribers! 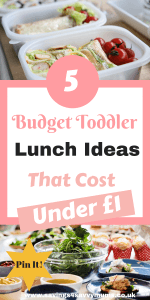 So based on this, here are 5 simple, fast and delicious budget toddler lunch ideas to bring new life to the dreaded lunchbox. These don’t have to just be for toddlers. If you have school aged children these would work, but without the fun flare maybe? Star Ham Sandwich with grapes, cheese chunks, and a banana. Cheese Sandwich kebabs, jelly, cucumber slices, and banana. Pizza toast, cheese and ham cocktail sticks, jelly and banana and cucumber chunks. Cookie cutter cheese sandwich (mines a star), cucumber and grapes on sticks, ham slices and flapjack. These lunches are based on one child, but with the shopping list below, there’s no reason why you couldn’t all have the same lunch, minus the shaped bread if you want. That way, all the items would be used, without you having to incorporate them into your meal plan. Now, there is a bit of waste, but to counter that, leftover sandwich crusts can be used as fresh breadcrumbs and the leftover ham or cheese can be used for dinners that evening. The good thing is, none of these are set in stone either. They can all be swapped and changed and fillings amended depending on what the family like or what you can afford that week. Meal planning for the week can be hard but is the most important part of eating on a budget. It gives you a plan you can use to help you buy food more wisely and stop you staring in the fridge for 5 minutes trying to think about what to make for lunch or dinner. If you’ve never meal planned before then start today even if it’s just with your toddler’s lunch. You’ll be surprised how much quicker and easier it will be when buying food and making lunch. Think about your menu for the week, what can you use to double in your kid’s lunch? If I’m making pizza, can I make pizza bagels with the leftover base and sauce? Is there any Gammon left from Sunday lunch? Then that’s Monday’s filling. Leftover eggs? Use them. Everything counts! Search your kitchen staples, is there anything that you can bung together to help bring the cost down? For a full list of my recommended kitchen staples, CLICK HERE. Can you make more to freeze? So those hectic mornings aren’t so stressful. Think about food pooling with your neighbours. Totally stuck? 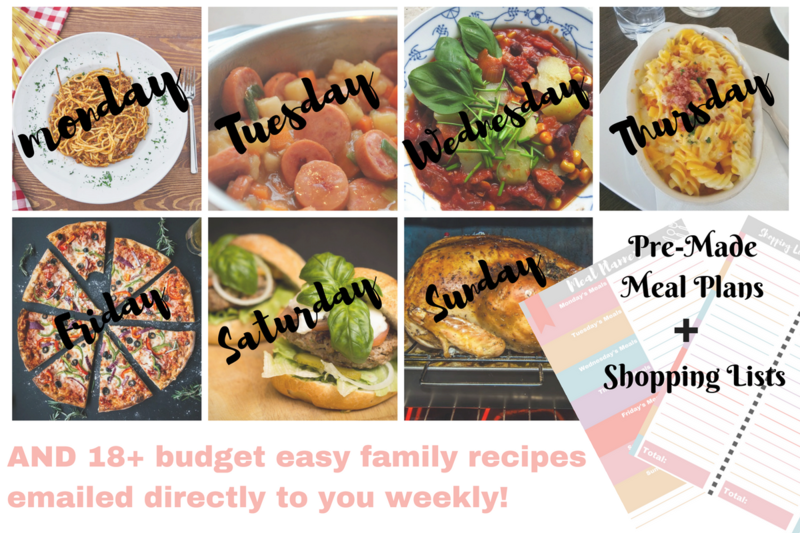 Then use our 7 Family Meal Planner Templates When You Need Inspiration and fill your plan. You don’t have to buy 8 different fruits and 7 different vegetables for 4 or 5 days’ worth of lunch. Buy only what you’re going to use at home too. Buy Snacks EVERYONE Enjoys. Don’t. I repeat: Don’t go out and spend twice as much on different snack foods just because one kid likes cheese and one kid doesn’t. Find common ground and use it, even if the combos are a bit weird. I have seen lots of adorable lunch boxes that are made with tons of different cookie cutters, sandwich presses, plastic character toothpicks and even toothpick moustaches. While they’re so cute, they also cost money! Use what you have at home already from cookie cutters to basic glass cup rims to match sticks. Everything and anything that makes lunch fun! If you’re currently going through the dreaded toddler fussy eating stage then hang on in there. It’s not fun when the kids only want to eat beige food. Try out list of 27 easy and kid-friendly budget recipes for fussy eaters that the whole family will enjoy. If the kids love something then make extra and pack it for lunch. At least they are eating something and you aren’t throwing it away. You can almost see the pound signs when you have to chuck food away. It’s not easy when the kids suddenly change their mind on what food they like. We try and use everything from taking the crusts to work for our lunch to smoothies when we have leftover fruit. Use our 21 Food Waste Recycling Facts That Will Help You Save Money post if you feel like you may be throwing to much away as a family. Have you got any lunch ideas for under £1? Let me know in the comments below.